As noted earlier, Street Fighter veteran Dhalsim has been confirmed for Street Fighter X Tekken alongside Poison, and Yoshimitsu and Steve Fox from Tekken. 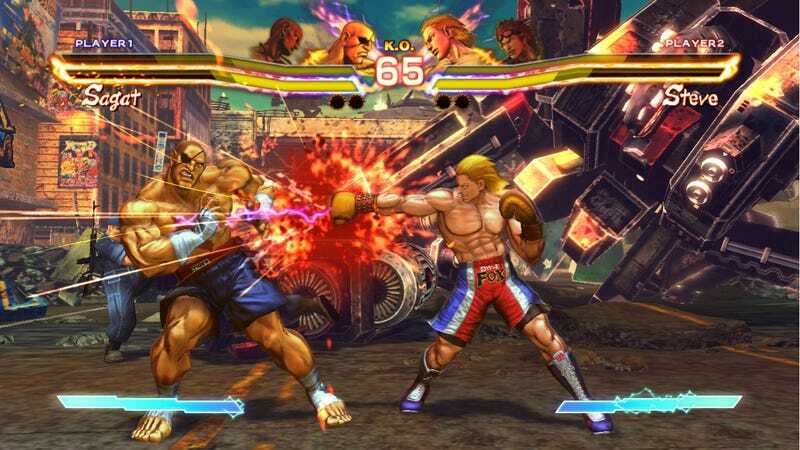 Capcom today released these ten new screens showing them in action. Scarf 'em up! There is undoubtedly more to come.